Krakatau Aqua Coaster at the new Volcano Bay waterpark. Hogwart's Express train connect two of the Universal Orlando theme parks. 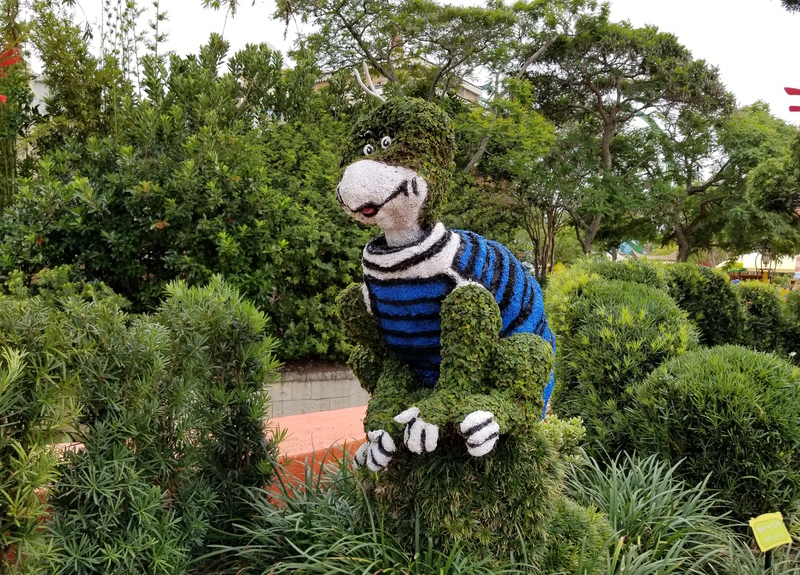 Yertle the Turtle topiary is part of the charm at Seuss Landing. Universal Orlando Resort in Orlando, Florida has been thrilling theme park goers for over 25 years. And for summer 2017, there are three massive theme parks, all with their own distinct personality. Universal Studios is where movie magic comes to life with attractions based on blockbusters from Universal Studios. Mythical beasts, super heroes and villains come together to make up the exciting Islands of Adventure, where toddler play, rollercoasters and entertainment live. At the newest park, the Volcano Bay waterpark, lose yourself in 30 acres of water rides, rivers, and pools. Universal Orlando has diverse attractions themed to a variety of characters and movies, making it a great choice for visitors of any age who want to get the most entertainment value out of their vacation. Universal Studios is the perfect place for film and TV lovers and will thrill fans of the Hollywood park because of its expansive size. Opened in 1990, the park now brings in over 9 million visitors a year. For science fiction fanatics there is the Men in Black Alien Attack shooter game, and the nostalgic bike ride to help E.T. on his journey home in E.T. Adventure. Parents will enjoy the tongue-in-cheek humor of The Simpsons Ride through Krustyland, as well as the hilarious Race Through New York Starring Jimmy Fallon. 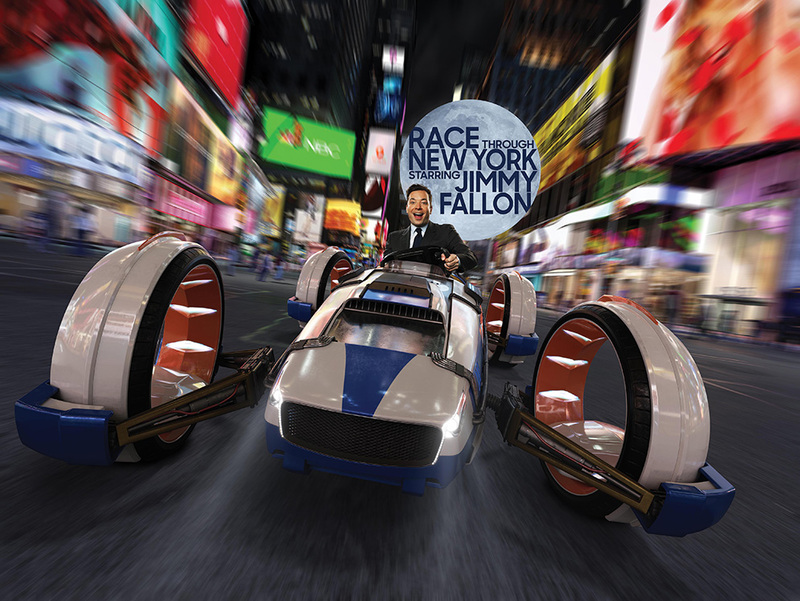 All ages can race against NBC’s Tonight Show host in a fast-paced, virtual 3D New York City, featuring major attractions of the Big Apple. The ride is the first at Universal Orlando to feature a virtual line, which allows guests to enjoy the rest of the park while they hold their place in line. Younger kids can join the very funny Despicable Me Minion Mayhem, a 3D ride suitable for the whole family, and Shrek-4D, a multimedia encounter with Shrek and his wife Fiona. Our favorite show to relax in is Animal Actors on Location, a look behind the scenes at trained movie animals. Thrill seekers will find many other movie-themed rides such as the extraordinary Terminator 3D and the intense, dark Revenge of the Mummie to choose from. Check the schedule for the nighttime movie character parade and the Cinematic Spectacular light show done on a screen of water above the park’s central lagoon. Fans of Harry Potter (and you don’t have to have read the books to be a fan) can explore Diagon Alley in London. Visit famous places in the wizarding world such as Gringotts Bank and Ollivander’s wand shop, experience the “Harry Potter and the Escape from Gringott’s” ride, and try butterbeer at the Leaky Cauldron. 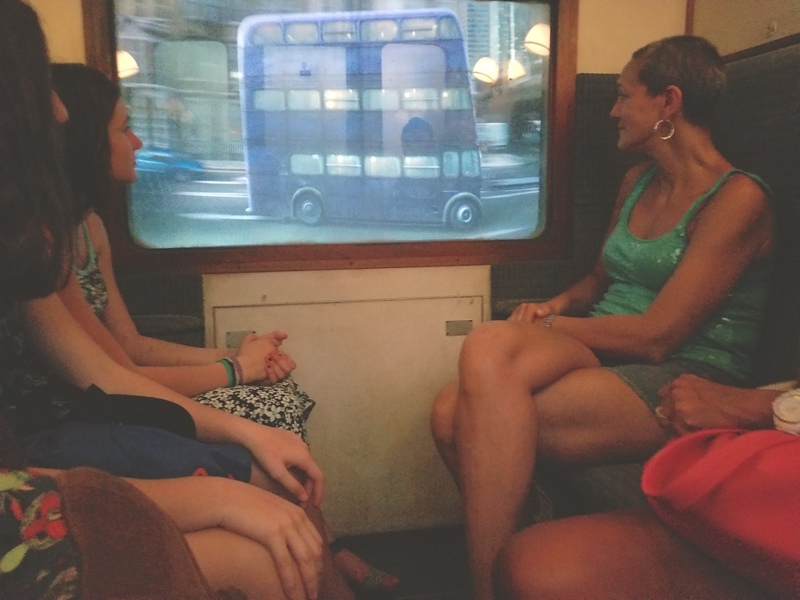 This latest Potter attraction is connected by a delightful “train” ride from Platform 9 3/4 at King’s Cross Station to the original, larger Hogsmeade in Islands of Adventure, which is the easiest way to connect between the two parks. Note that it’s available to guests with a Park-to-Park ticket or annual pass. Universal’s Islands of Adventure is for both the more daring members of the family and the tiniest ones. The theme is adventure, and it’s part of the 26 restaurants and ice cream parlors as well as the attractions. We have our favorites here, too: the classic splash ride Jurassic Park River Adventure within a large dinosaur themed zone. The thrilling Skull Island: Reign of Kong uses special effects and motion control in a new King Kong story developed by famed movie director, Peter Jackson. 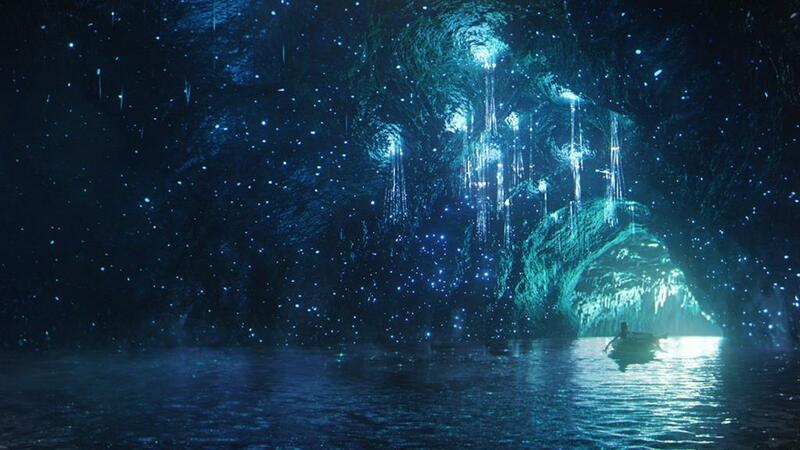 Kids will really appreciate Poseidon’s Fury, a multi-stage attraction based on the myth of the water god Poseidon. It uses film, sound, a live guide and physical effects like wind and water to make a great, old school thrill ride. If you’ve booked ahead, you’ll be able to get into Mythos, the Mediterranean restaurant next door that’s been voted ‘best themepark dining’ for several years running. The original Harry Potter themed attraction, Wizarding World of Harry Potter, is here too. Immerse yourself in Hogsmeade, a little village outside of Hogwarts Wizarding School where you can buy sweets at Honeydukes and ride on the family-friendly ‘Flight of the Hippogriff’. Before you dine at the famous Three Broomsticks to get your fill of pub food and butterbeer, line up for ‘Harry Potter and the Forbidden Journey,’ a head-spinning race by virtual broomstick through Hogwart’s school that is widely regarded as the park’s most extraordinary attraction. Younger kids, parents and grandparents will love seeing the stories of Dr. Seuss come to life at Seuss Landing, where daily specials featuring costumed characters from the books can be seen. Don’t miss the aerial train ride above and through this section of the park and, with older kids, the vintage Dudley Do-Right’s Ripsaw Falls water ride. For comic book fans, Superhero Island holds the 67 m.p.h. Incredible Hulk Coaster and the 3D virtual reality Amazing Adventures of Spider-Man. 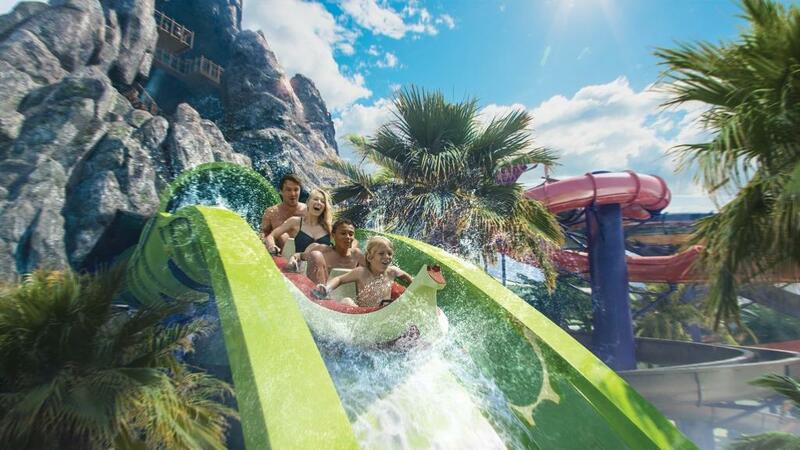 Volcano Bay also offers the pioneering Tapu Tapu, a waterproof wearable that holds your place in line, and can do tricks such as controlling the water spurting from whales in a toddler play area, or lighting up images in the volcano’s hidden caves. The whole family can use their Tapu Tapus to make purchases, access special interactive photo opportunities and selfie-spots throughout the park and, most importantly, open your lockers. Once you’ve had your fill of rides, relax and enjoy a meal or a drink or a show at Universal CityWalk. This colorful commercial zone is popular with locals because of the many branded shops and a high quality multiplex cinema. Hard Rock Live is the club for visiting bands and late night dancing. Try restaurants like Emeril’s for the famed chef’s New Orleans’ specialties; find a drink or a meal or a souvenir at Margaritaville; some candy treats, ice cream and more. In addition to your theme park ticket you can purchase a seat to see Blue Man Group. Universal Orlando is part of the NBCUniversal Comcast family, which has invested in 25 new experiences –- entire themed areas, attractions, restaurants and hotels -– in the past seven years. Each park has thrill rides for big and little kids, shows, shops and restaurants grouped in themed areas. Those who have been before should keep in mind that, today, there’s too much to comfortably see in one day. How can you best plan a trip? Study the park maps before you enter to avoid the crowds, prioritize your interests, and you won’t wear yourselves and the kids out so quickly. During summer and holiday weekends, families with limited time may want to explore the Express Pass options (hefty additional fee) which enable you to bypass what can be very long wait times. However, our best advice is not to rush — spend a few days at an on-site hotel and use the free early morning hours (only open to hotel guests) to catch the hottest rides, have some lunch, and go back and enjoy the great pools, Citywalk shops and Galaxy bowling alley. We hear that more attractions will begin to offer a Virtual Line Return Time that can be programmed through the official Universal Orlando app to “hold” your place in line, at no additional charge. As for hotels, Universal Orlando now has 5,600 rooms across its five (soon to be six), well-themed and fun, on-site hotels. As noted, staying at an on-site hotel gives guests early morning privileges at the parks and, at the higher priced hotels, a room key works like an Express Pass. For more general information, dining plans that can substantially reduce your food bills, and hotel-ticket combo packages, visit Universal Orlando’s website.